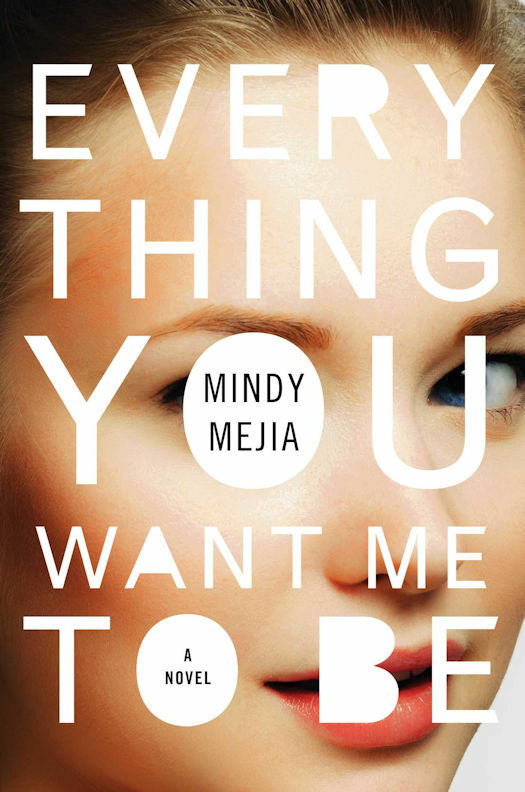 As Everything You Want Me to Be by Mindy Mejia hits its mark, we see eighteen year old Hattie Hoffman’s escape from rural Pine Valley to New York, or Boston, or anywhere, fail miserably. But the failure comes with a revelation for Hattie. Considering all of the pain that has brought her to this moment, she finds the will to shed the false faces she presents to the world, and begin living her truth. It's a bold decision from a character with a strongly written voice. Unfortunately, in the next chapter, Sheriff Del Goodman is tasked with finding out who brutally killed Hattie in a community so small that everyone knows your history, has discussed and analyzed your faults, and might be willing to help justice along if law enforcement doesn't move fast enough to suit. Everything You Want Me to Be is told in the first person through the eyes of Hattie, Del, and Peter Lund, Hattie’s English teacher who is a newcomer to Pine Valley’s closed ranks. Along the way, we get to know Hattie’s best friend, Portia, her boyfriend Tommy, and a number of other townspeople who all seem to share one common trait: they're trapped. By memories. By bad marriages. By obligation. There is an underlying lack of joy in this town full of suspects that makes just about everyone a possibility, although some far more likely than others. Mejia spends ample time bringing the setting into the foreground and it's the perfect backdrop to showcase teenage restlessness and the struggle with the fundamental human need for something more. Some of the characters are interesting and three dimensional, full of flaws and humor and realistic viewpoints for their backgrounds. Mejia is stellar at weaving detail, clues, and red herrings into the fabric of the story. The solution to the puzzle of who killed Hattie Hoffman was not obvious to me. I changed my mind several times as I looked over Sheriff Goodman’s shoulder while he worked, and watched Pine Valley interact with Hattie and Peter. The underpinnings of the story – the character archetypes and relationships – sometimes felt a little too familiar. The character of Hattie seemed new and inventive, but much of the time she was surrounded by unfulfilled creatives, dutiful daughters, bloodless farmers’ wives, and dopey jocks. The final chapters, however, were well-plotted. There are no true happy endings here, but the wrap-up is satisfying and a fitting coda for Hattie, the girl denied the one thing she wanted more than anything else, to truly live. Everything You Want Me to Be is a thoughtfully constructed mystery; an easy to read story that's both fresh and just a bit stale at times. I would recommend the book to mystery and suspense fans for Mejia’s deft plotting and heartfelt portrayal of youth at the very border of adulthood.